Cammy is a video game character from the Street Fighter series, first appearing in Super Street Fighter II. 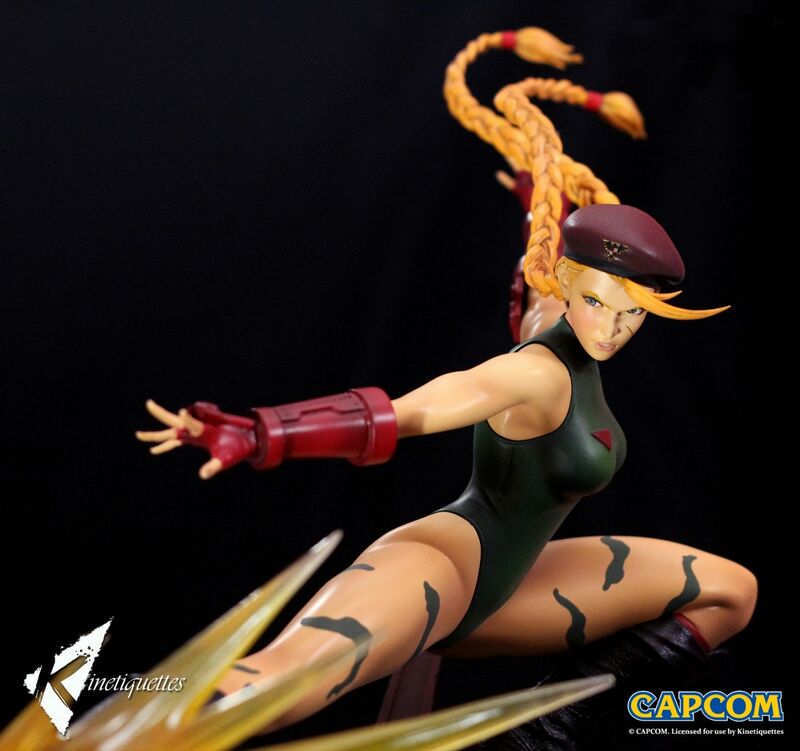 The second female fighter in the series, she was once a deadly assassin working for Shadaloo before breaking free and becoming an MI6 operative for the British government. 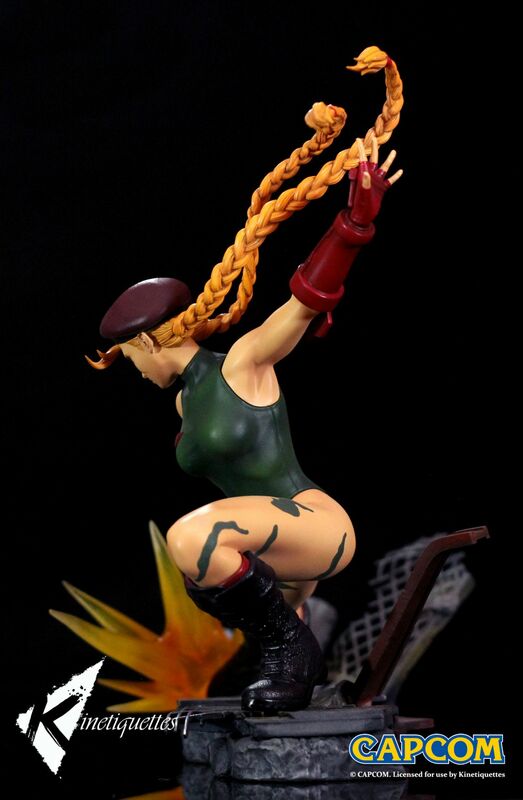 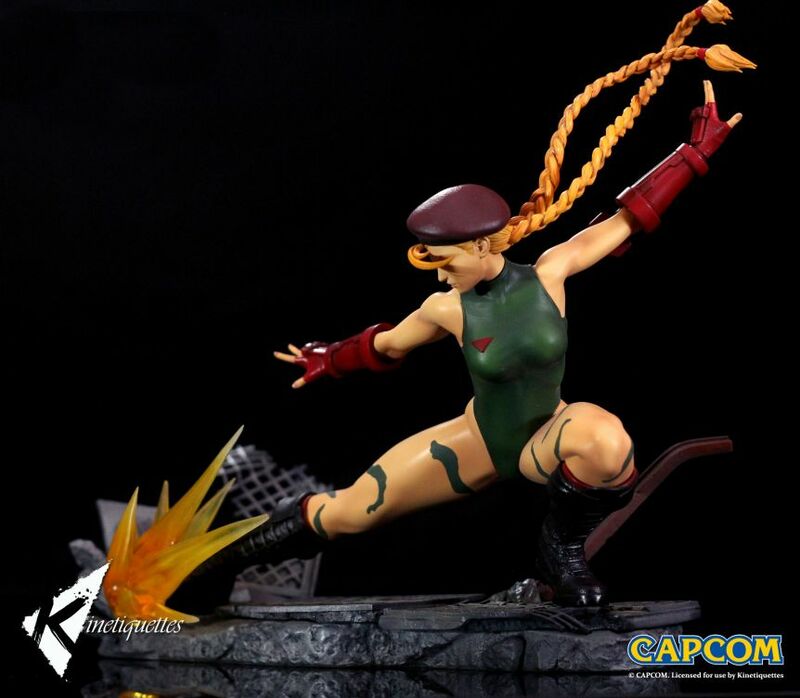 This is a diorama which depicts Cammy performing her super move. 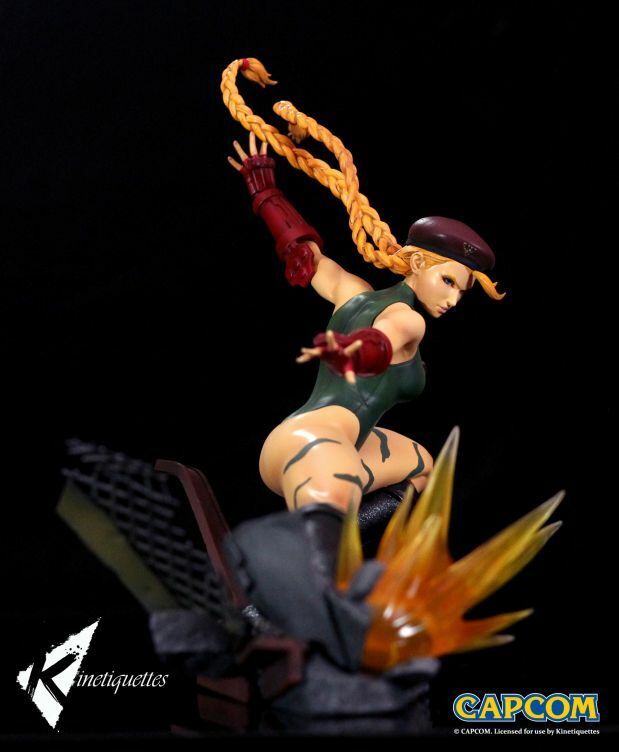 It is part of the Femmes Fatales line which shows her fighting against Juri and Chunli (sold separately) on the construction stage from Ultra Street Fighter IV. 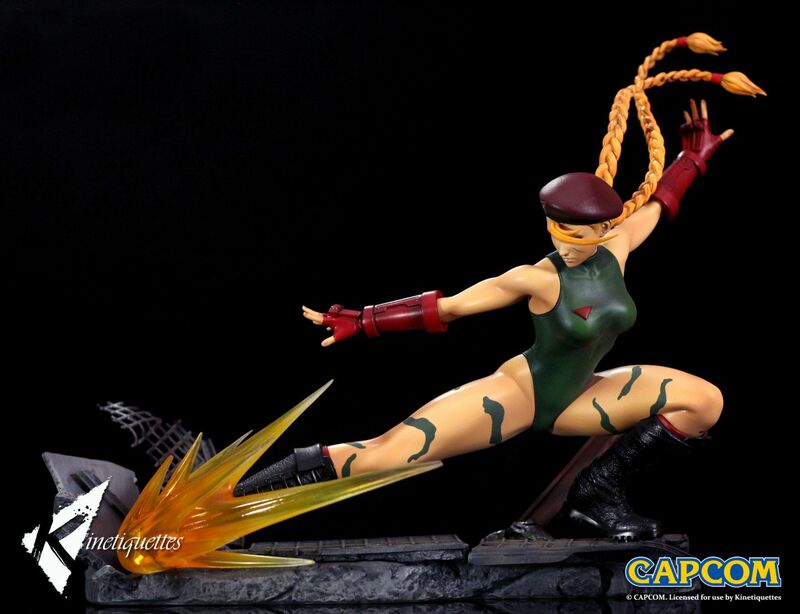 The diorama is inspired by the iconic opening cinematic of the game showcasing her in a dynamic pose with an intricately detailed base.